Solanaceae Source aims to provide a worldwide taxonomic monograph of the nightshade family, Solanaceae. The family is of considerable economic importance and contains species that are used as food (potatoes, tomatoes and eggplants), medicines (henbane and deadly nightshades) and in horticulture (petunias). We began this journey with the on-line monograph of all species in the mega-diverse genus Solanum. 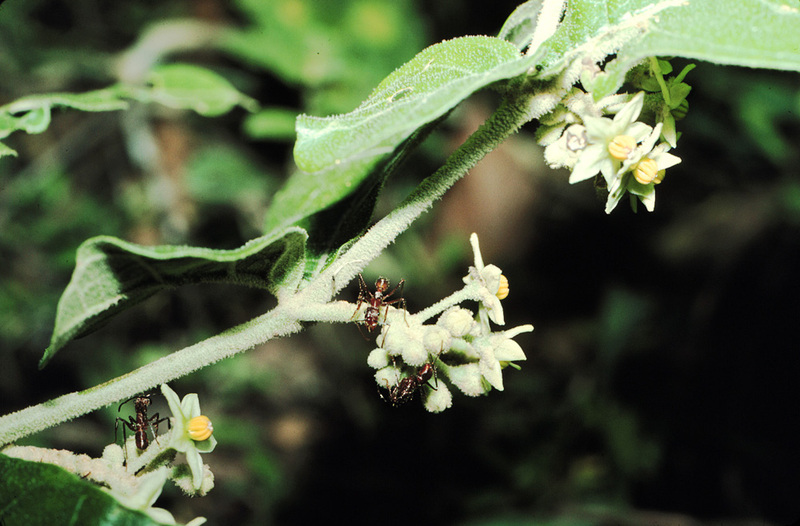 The National Science Foundation (NSF) funded the Solanum project as part of the Planetary Biodiversity Inventories (PBI) mission from 2004-2009. In 2011 we added the names for all members of the family to the resource with the collaboration of the International Plant Names Index (IPNI), and are working through these with the help of the Solanaceae community worldwide. This increases the coverage to all 90+ genera of the family and will contribute to diverse projects such as the World Flora On-Line that is contributing the the Global Strategy for Plant Conservation. The Solanaceae Source BRAHMS database serves data on names and specimens for the website and is worked on continuously. The website and database behind it are constantly being updated and improved - we hope you will bear with us as we both improve the site and the data that underpin it. Brazilian specimens of the Solanaceae Source database became available today through SpeciesLink, Brazil's major biodiversity data portal. 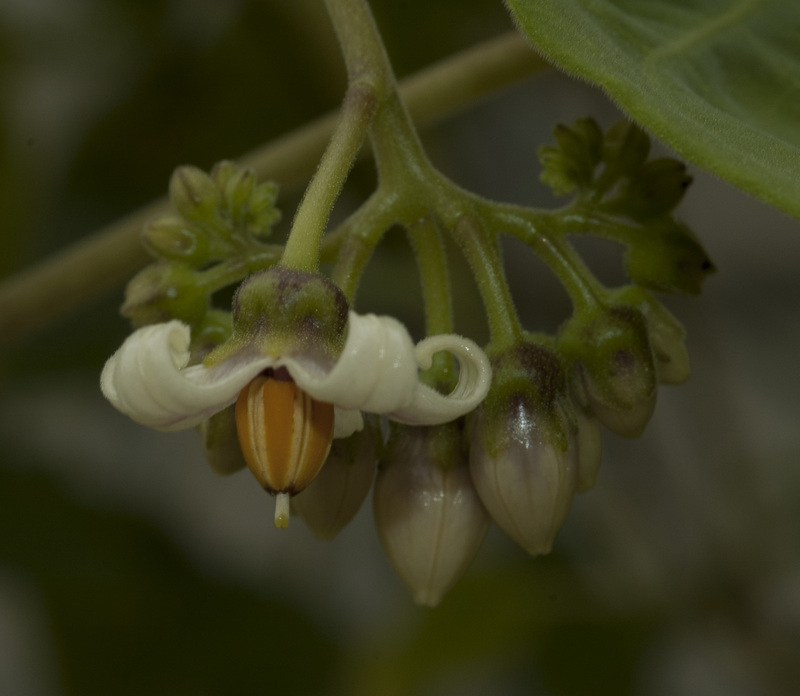 A total of 1,466 specimens of Solanaceae from the Natural History Museum London (BM) are now available within SpeciesLink searches, integrating the specialist database for the nightshade family with Brazil's digitally available collection data. New species are not only found in the back of beyond - solanum gurus Lynn Bohs and Stephen Stern together with Jeff Keeling of Sul Ross State University have just described Solanum cordicitum from Valentine, Texas - proving that botanists have excellent senses of humour! Read the University of Utah press release here and the report in Science. Brazilian botanists came together at a series of workshops held at the Brazilian 64th Congresso Nacional de Botânica in Belo Horizonte (Minas Gerais) to map out the ambitious project of describing the extraordinary plant diversity of the country by 2020, as a contribution to meeting the first target of the Global Strategy for Plant Conservation. Brazil holds almost 10% of the world’s plant diversity – understanding Brazil is really important for understanding global plant diversity! Enquire about the project or send us your comments using our online enquiry and feedback form. Guidelines for citing information on the Solanaceae Source website.